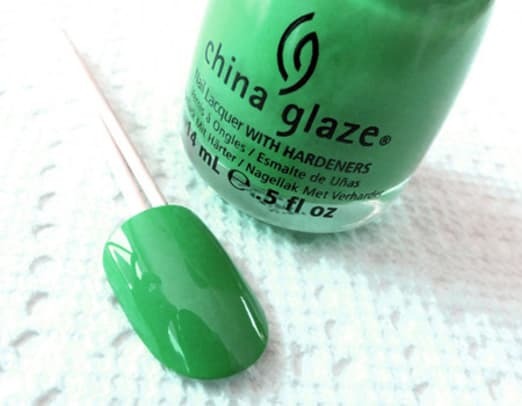 Fun emerald-aisle nail-art ideas fit for St. Patrick's Day and any other day you're feeling green. 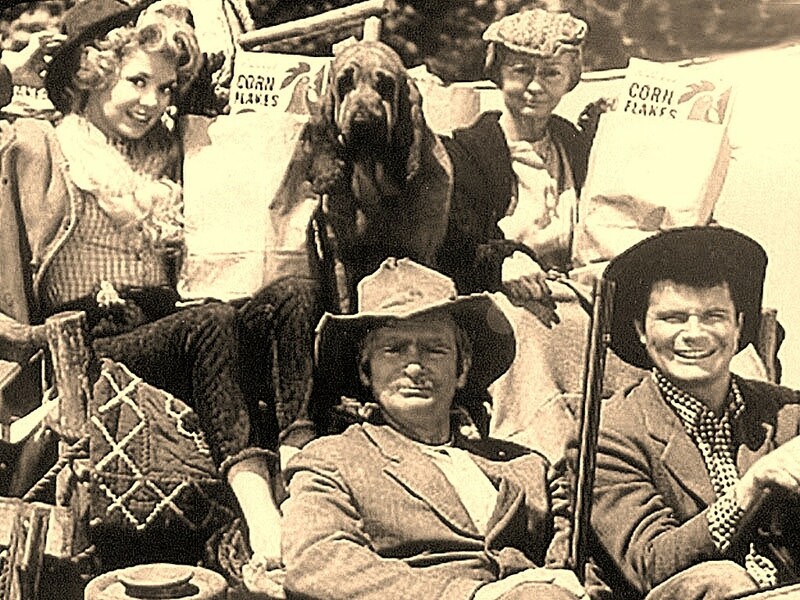 Gingham has such charm -- I&apos;m thinking picnics, pigtails, apple pie, and, oddly, The Beverly Hillbillies, although I&apos;ve never seen a full episode. Also charming: leprechauns. 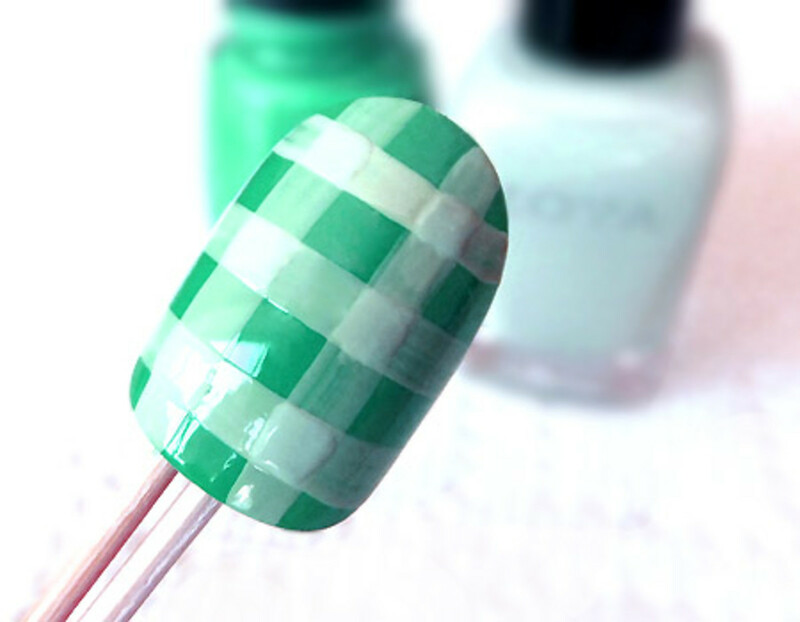 Inspired by the adorable gingham nails Tips Nail Bar artistÂ Miyuki Nakatomi demonstrates for the Canadian Living video below, I asked her what shades she&apos;d use for a St. Patrick&apos;s Day version -- and scored two more ideas from Tips nail artist Naomi Misu, too. Plus, my sister Karen did a Guinness mani! There. That&apos;s enough emerald for 2013, right? You planning to rock any of these greens, St. Paddy&apos;s Day or otherwise? Canadian Living nail-art tutorial vid (hi Katherine! ), canadianliving.com. Gingham nail art, Miyuki Nakatomi/Tips Nail Bar; two-tone nail art and ombrÃ© nail art, Naomi Misu/Tips Nail Bar. 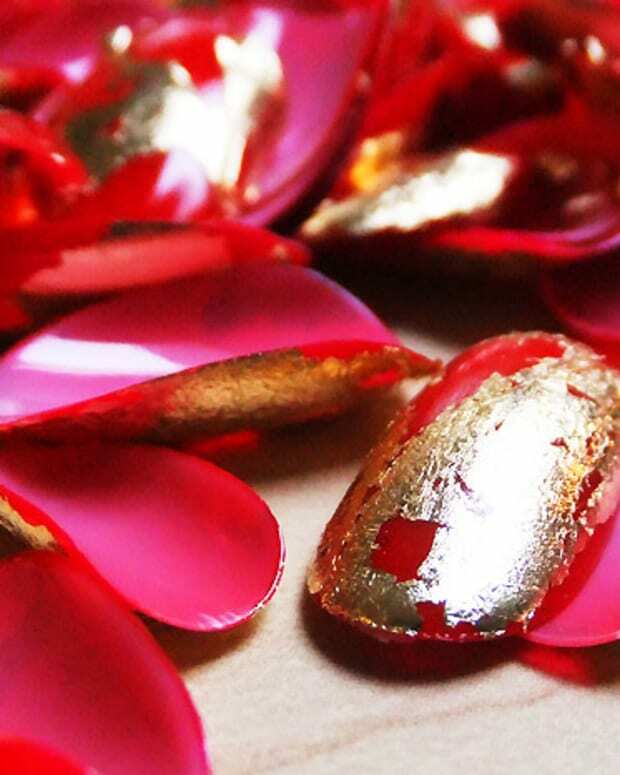 Revlon nail art, Leeanne Colley for Revlon. 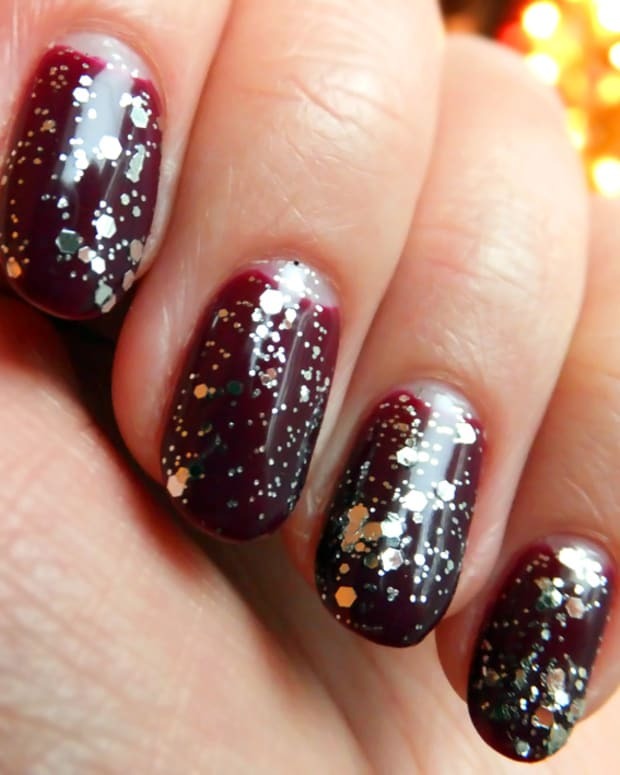 Canadian Living nail-art tutorial vid (hi Katherine! ), canadianliving.com. White mani w single shamrock/Guinness, Karen Falcon.